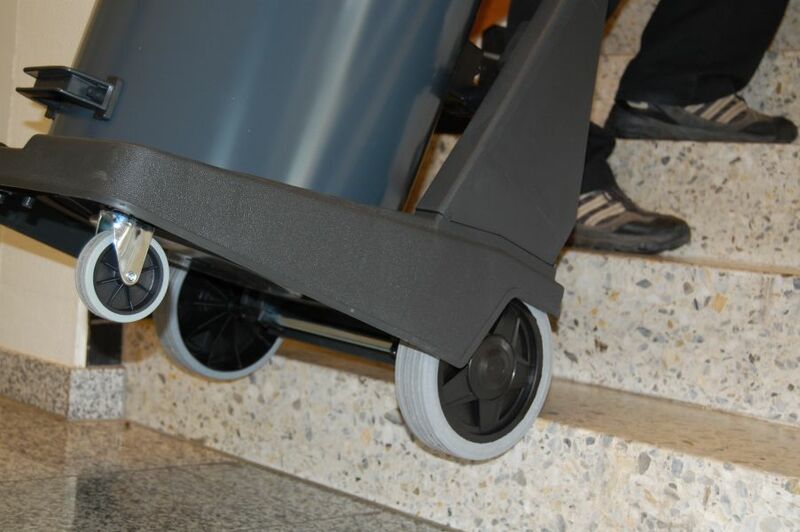 Robust chassis with sturdy operating handle and large wheels to get over thresholds and steps. 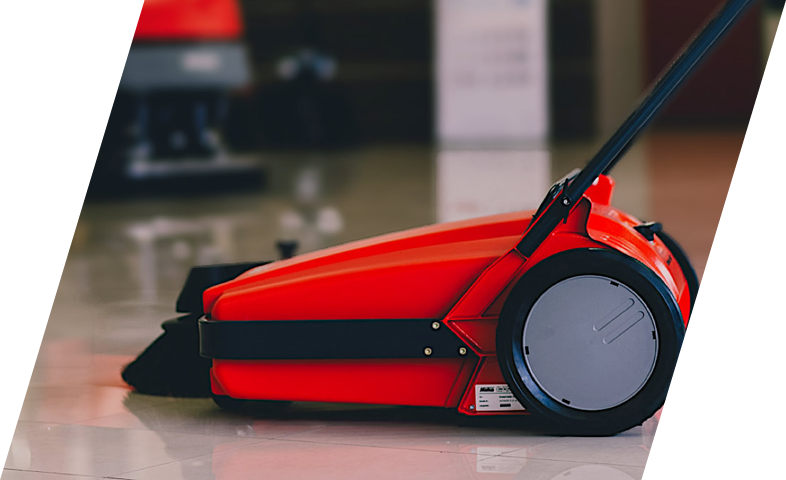 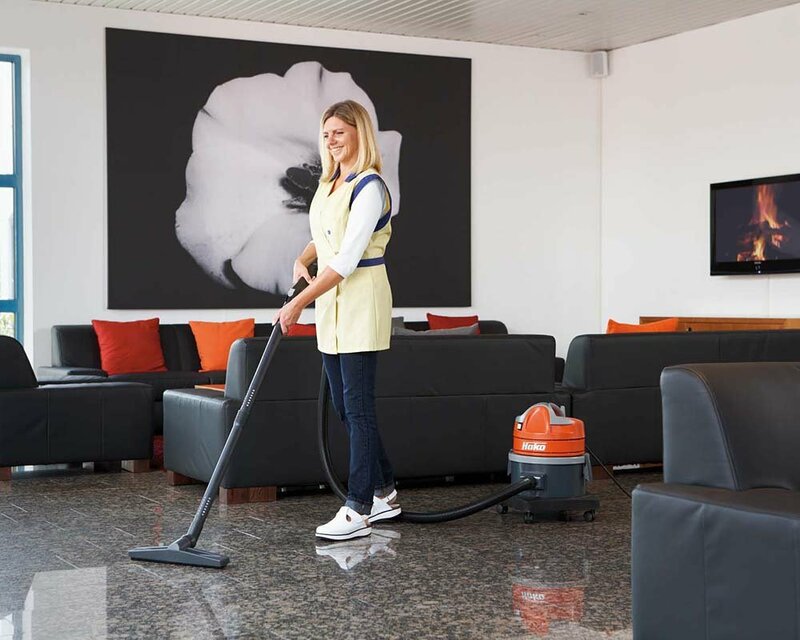 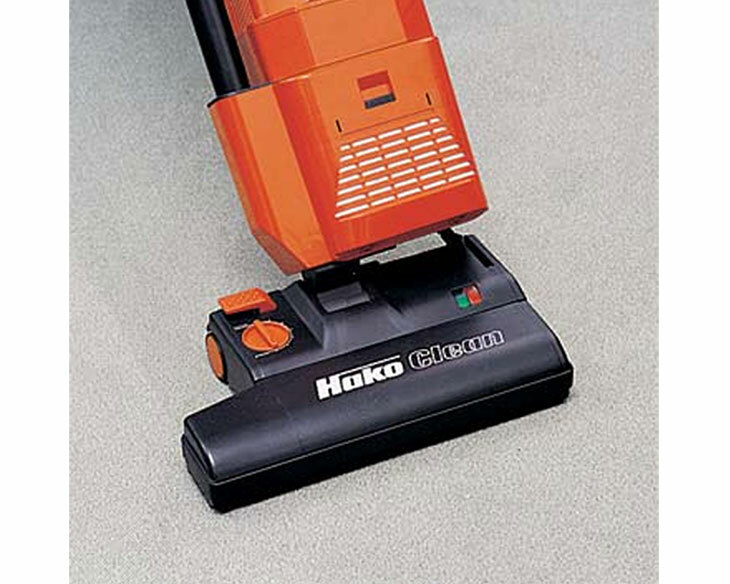 A robust wet and dry vacuum cleaner with a solid handle bar and two bypass motors that can be activated on demand. 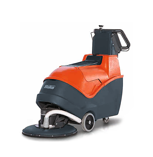 Very robust wet and dry vacuum cleaner with a solid handle bar and big wheels, manages thresholds and steps easily. 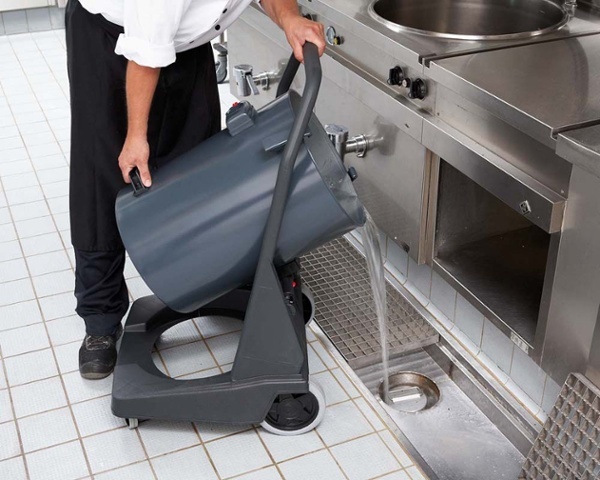 Convenient draining of fluids through a tilting device on the chassis. 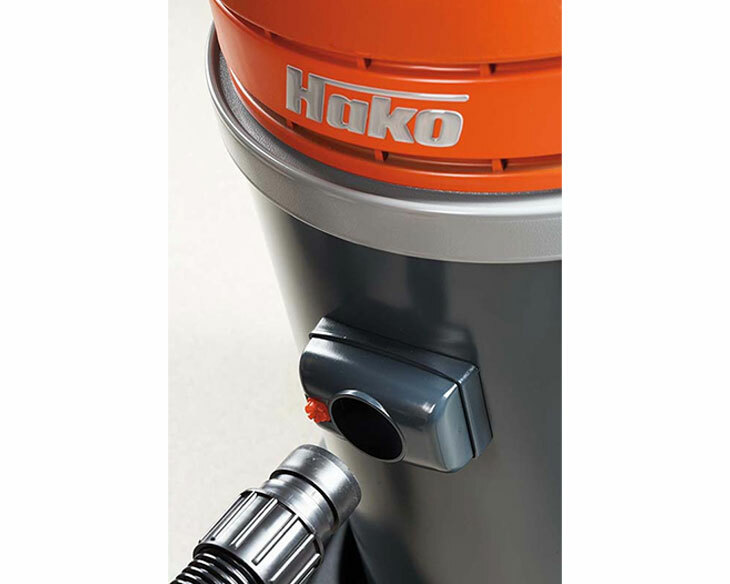 Two by-pass-cooled vacuum motors can be activated on demand. 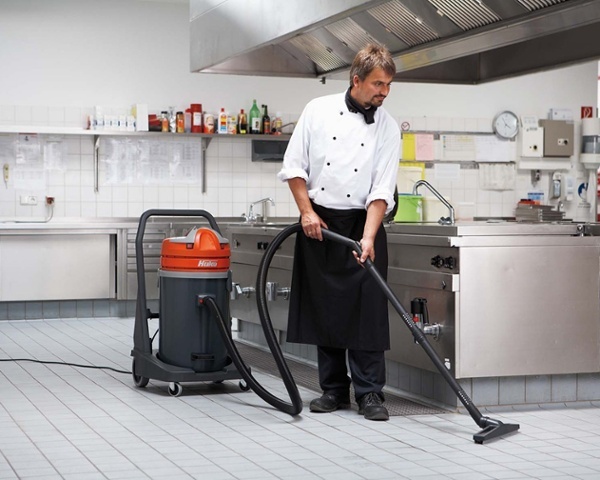 A clicksystem enables quick disconnecting of the hose. 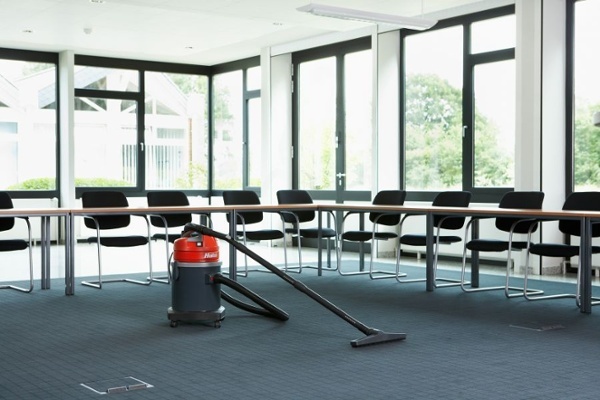 Antibacterial purification of waste air through Sanifilter.